From picturesque parks, coastline attractions to the nightlife, Staten Island has everything to make life exciting and relaxing as well. One of the five boroughs in New York City, the city is surrounded by the waterways such as Newark Bay, Kill Van Kull, Upper New York Bay, and Atlantic Ocean. ASAP is here to provide complete range of garage door repair and installation services including broken garage door replacement, garage opener installation and basic maintenance. We offer same day service for all types of garage doors in Staten Island, New York to both commercial and residential customers. Besides, we deal in high quality garage doors and replacement parts in the city. Call Now for a Free Estimate at 732-322-8877!!! 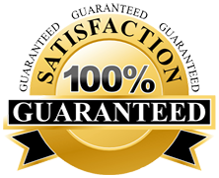 Why Choose ASAP for Your Garage Door Service in Staten Island? How Do I Know If My Garage Door Needs Repair or Replacement? If you are experiencing a garage door problem for the very first time, repair is the best solutions. Wear and tear affects garage door’s functions and durability over the time. If your garage door requires repairs frequently, replacement may be your cost-effective and reliable option. We operate throughout New Jersey and some areas of New York. Below are some of the related locations where we provide services: bergenfield, union, marlboro, toms river, jackson, brooklyn, brick, queens, bergen, long branch, edison, elizabeth and westchester. How Can I Maintain My Garage Door? A frequent maintenance of a garage door is essential for the lifetime and appearance of your door and opener. Luckily, there are few simple tasks you can do to take care of your garage door, such as washing the exteriors, lubricating the chains, wheels and other moving parts. In addition to that, you can use a broom or leaf blower to remove the debris and dust from the tracks. However, you should call a professional for repair and installation. How Long Has ASAP Been in Business? ASAP is the family owned business that has been serving the areas of New Jersey and New York for years. Being an experienced company in the business, we are familiar with the various problems and their solution as well. Do You HaveFull Time Employees or Use Subcontractors? ASAP has the team of full time employees who are certified and well trained. We don’t use subcontractors. What Kind of Garage Doors and Openers Does You Repair and Install? Our services cover all garage door types including steel door, wooden door and aluminum door. Well, it depends on the type of your garage door, severity of damage or fault, and replacement parts. For a free quote, you can contact us at 718-233-2874. Can I Repair My Own Garage Door? Garage doors have a complicated mechanism that requires a professional handling. If you try to repair garage door on your own, chances are you make the fault worse or end up with damages. Besides, you can be injured if garage door accidentally fall with its 300 lbs of weight. For each repair work, you are recommended to call a professional. This entry was posted in Staten Island on March 21, 2014 by admin.